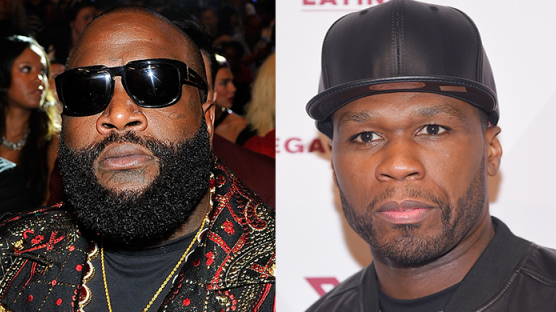 50 Cent is known for ending careers, but Rick Ross has done more than survive since their beef started—he’s flourishing. Rozay is making the rounds on the interview circuit, and has made it his business to tap 50 Cent every chance he gets. During his stop on The Angie Martinez Show, Ross made light of 50’s recent financial troubles, highlighting his bankruptcy. “There’s holes in your roof, fam,” Ross said after asking if Jay Z or Diddy would ever consider filing for bankruptcy. “Get rich or die trying, and now you bankrupt." 50 Cent filed for bankruptcy earlier this year, maintaining that it was more to protect his assets rather than him actually being broke.